The answer, inevitably leads to spending an inordinate amount of time (and money) on advertising, which, in turn, often leads to results that are inconclusive or, at best, difficult to quantify. Often overlooked in the marketing equation is public relations. But PR, if properly employed and conducted on a consistent basis can give you the most bang for your buck. Public relations, usually in the form of publicity, has enormous potential. Positive publicity can amplify your brand name, distinguish your service or product from everyone else’s, and validate what you say about yourself. The good news is that PR costs considerably less than advertising. The challenge is that PR is not totally predictable. Getting your name in the news depends on what is happening in the news and requires that your product or service has information of news value to share. And in order to remain in the news, your company has to keep making news. That is where having a qualified PR firm can help. Any qualified firm has strong relationships with the media. They know how to reach the right people and find the angle that maximizes the chance of coverage. That is another way PR professional can make a big difference– by identifying and clarifying what your product or service does for your target audience. It’s a message that needs to be told many different ways and tailored to fit the particular audience that is reached by a specific media (e.g. transportation company execs gravitate toward business and transportation news outlets). Further, you have to tell your story again and again. PR professionals are experts at finding new ways to tell your story and keep your name in the news. How much should I be spending on PR? No two budgets are exactly alike, just as no two companies are exactly alike. A precise budget for PR is difficult to pin down. A review of basic costs, however, will give you some idea of what’s involved and what you pay for when you use a qualified public relations firm. Monthly fee: A modest number of account service hours times an hourly rate that falls within your budget capabilities. Out-of-pocket expenses (billed at net): Basic costs like travel, mileage, copying, postage, graphic design costs, etc. So what does that translate to in terms of a monthly budget? Start with something affordable, say, $750-1,000 per month for a combination of fees and out-of-pocket expenses and revise the budget accordingly as your relationship and results develop. What should you expect in terms of results? Unless you have a blockbuster story to tell, results usually do not manifest themselves for about 90 days. It takes that long to get information prepared, distributed, absorbed by media, and followed up upon. Why 90 days? For print media, it takes that long to get ahead of print deadlines. For online media, the deadline is much shorter, but it requires some time to break through the messy, competitive clutter of information that online news outlets receive and must consider. For broadcast media, results require video or audio that lends itself to TV, radio or online broadcast. The point is that PR, if given an adequate budget and sufficient time, can serve as a marketing tool that can equal, exceed, or at a minimum, complement your entire marketing program. In terms of cost-effectiveness, PR is often the best bet for ROI. 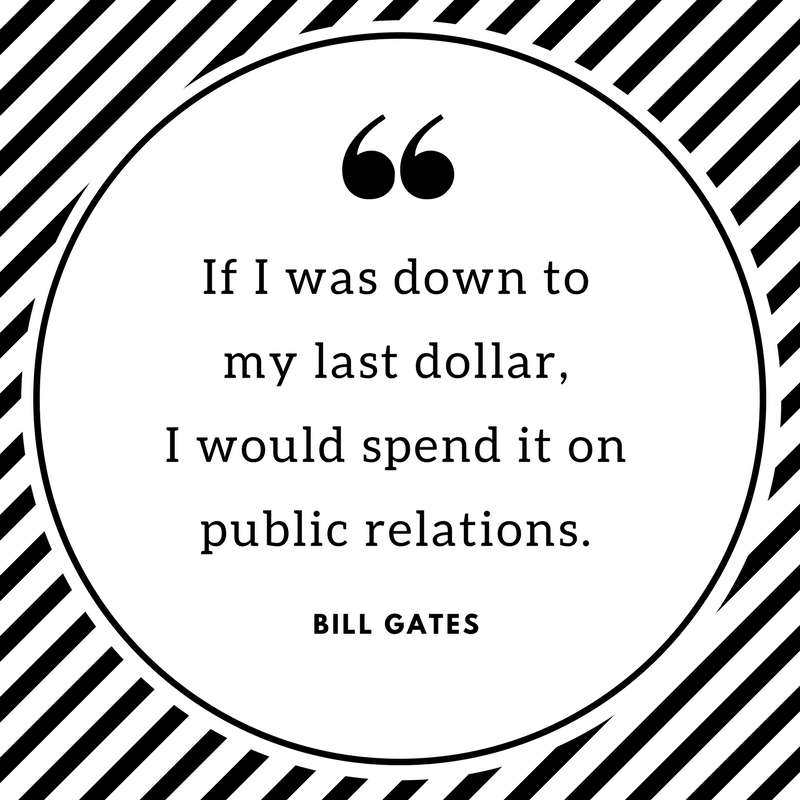 Call me (407-339-0879) or email me and allow me to pass along some vivid examples of how (and why) PR must be a key element of your marketing mix.